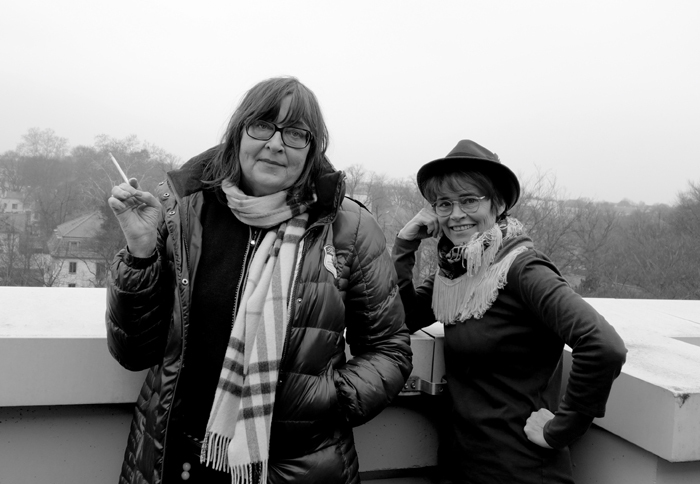 Working on “trues stories”, here with Françoise Cactus…”Die Toten von Feuerland” got awarded in England. In march I am recording the voices for my radio play “True stories” based on texts by french installation artist Sophie Calle. My concept is an experimental arrangement, where all actors are also improvising with the texts and their voices. 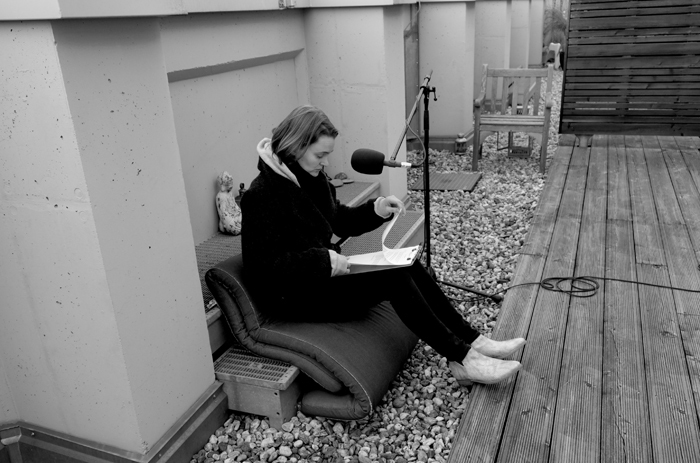 Here I am with singer Francoise Cactus and actress Birte Schnöink on my rooftop and in the kitchen, turned into a theatrical recording stage. As a third role we have great Damien Rebgetz with us in this production. 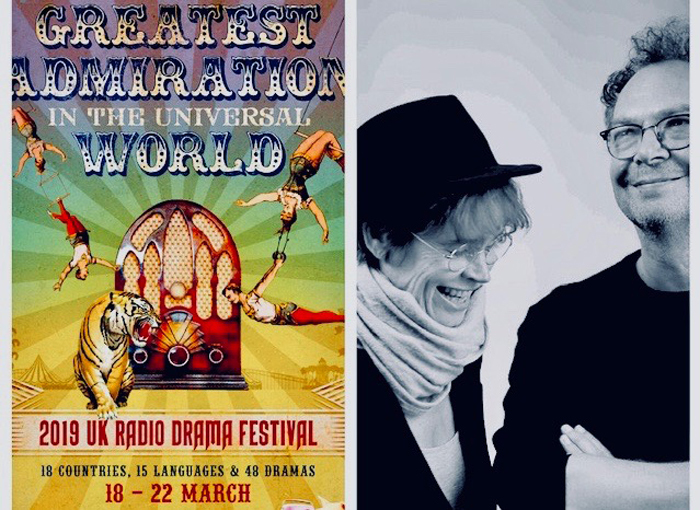 March also brought an invitation for “Die Toten von Feuerland” to the Radio Drama Festival in Canterbury. Throughout 4 days of intense listening to over 50 international radio plays, the jury finally gave the first prize to our production. We are very moved and happy about the recognition of our play and the effort that we did put into it. You can listen here to the play. And please find the synopsis below.